If you own a pet mouse, giving him once in a while treats is A-OK as long as you make sure first that they're suitable for him. If you're ever uncertain whether a certain food is safe for your little rodent, get the expert advice of a veterinarian beforehand. Fruit is an example of a common mouse snack. As with many other types of rodents, fresh produce can be tasty and suitable treats for pet mice. Keep portions of fruits and vegetables small -- think 1/4 tablespoon or so. Overly big portions can lead to tummy woes and diarrhea. Slice the produce up into tiny, mouse-friendly bites. Some examples of the diverse fruits and veggies that are appropriate for mouse consumption are parsley, bananas, pears, tomatoes, peas, melons, berries, carrots, celery, broccoli, cucumbers, avocados and apples. Remember, moderation is key to giving mice treats. Only feed your pet these things two or three times per week. If your mouse fails to eat any of his fruits or veggies within a few minutes, take them out of his cage. Never allow him to eat spoiled or old items. Nutritious foods prepared for people also can make suitable occasional mouse treats. Plain poultry such as turkey or chicken can be beneficial for mice, as long as it's free of any extra seasoning. This also applies to tuna. Miniscule portions of plain pasta, whole grain bread, baked potatoes, cereal and brown rice can also be suitable. When you offer your mouse pasta, give him no more than a single piece, for example. Feed your mouse these things very infrequently, no more than a couple times a week or so. While mice do indeed appreciate treats, it's important to focus on their dietary staples, too -- commercial formulas that are tailored exclusive to their needs. Never use food made for hamsters, guinea pigs, gerbils or any other critters as a substitute. Commercial mice food comes as pellets and blocks, both of which are appropriate for accommodating their dietary needs. If you're not sure of which food to select for your mouse, ask a veterinarian. A veterinarian can help you find a commercial food that caters to all your pet's dietary demands. Clean water is also of major importance to mice. Fresh water must be accessible to your mouse around the clock. Some people foods can be hazardous to mice, so be careful. Some of the foods that are harmful to them are peanuts, corn, cabbage, onions, chocolate, cabbage, rhubarb and raw potatoes and candy. Unhealthy snack foods made for people are also a no-no. Only allow your mouse to eat treats that you are certain are 100 percent safe. 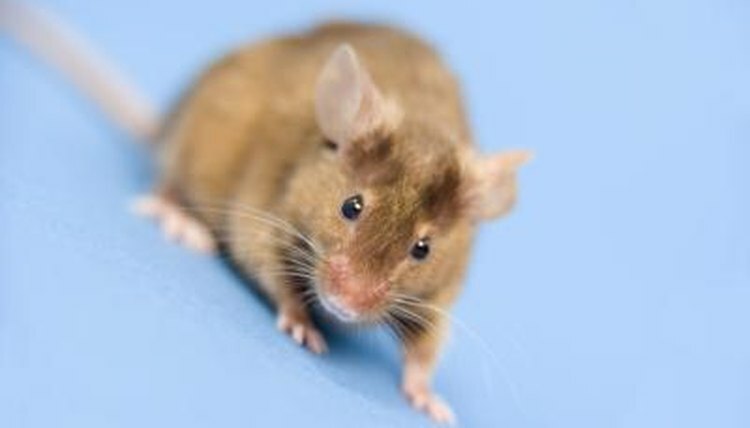 Royal Society for the Prevention of Cruelty to Animals Australia: What Should I Feed My Pet Mouse/Mice?